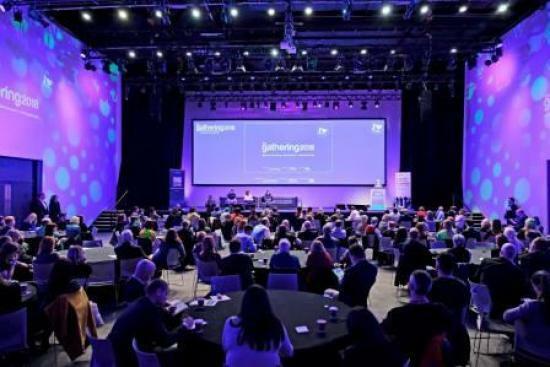 Organised every year by SCVO, The Gathering is the largest free third sector event in the UK, a place for all the amazing people working in the sector to network, showcase what they do and learn from each other. With a bustling marketplace with over 100 exhibitors, and a packed programme featuring more than 70 workshops, seminars and training sessions over two days, it's also a great opportunity for anyone who is interested in finding out more about the third sector in Scotland to come along and get involved. Held in the SEC, Glasgow, it's a place for people from the third sector to network, showcase their work and learn from each other. Whether it's funding, employability or health and wellbeing, there are opportunities to listen, learn and be heard. There's a busy exhibition and marketplace with over 100 exhibitors and a packed events programme with more than 60 workshops, seminars and training sessions. The Scottish Charity Regulator (OSCR) is holding a session at The Gathering on Wednesday 20 February from 2pm to 3pm. ‘Looking for heroes' will focus on charity trustee recruitment. We will cover the steps trustees should take and facilitate a discussion to share good practice. OSCR will also have its own stand on The Gathering’s showfloor. Our stand will have lots of useful documents for charity trustees and you can come and chat to our staff if you have any questions. Please visit us on Stand 1 to say hello!